Celebrate any occasion in style! 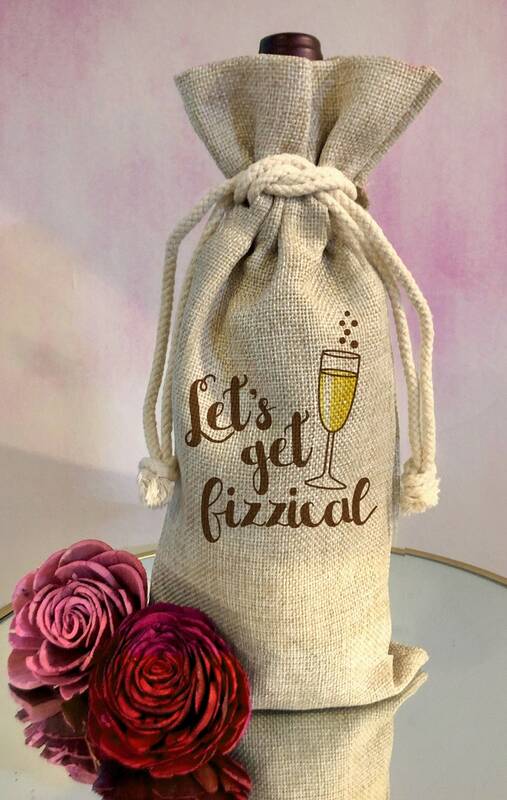 Wow your sweetie with this reusable bottle bag. Perfect for Valentine's Day, anniversaries, birthdays, or just because. The design is permanently imbedded in the fabric so it will not wear off. Made of a sturdy faux burlap style polyester fabric that ties with a rope cord.